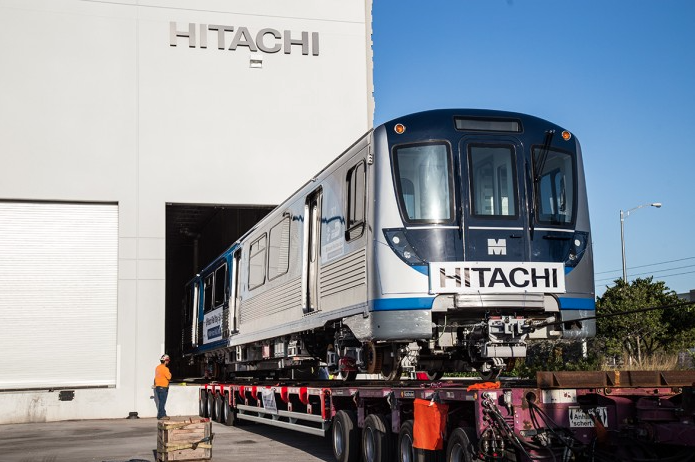 Hitachi Rail Italy has delivered the first two-car metro train to Miami-Dade County’s Metrorail to begin dynamic testing. It is the first of 68 trains which will leave Hitachi’s factory in Medley over the next two years. Static testing of the traction, braking and other subsystems has already been successfully carried out at the manufacturing site in Florida. The contract, which is worth around $300 million, was awarded to AnsaldoBreda in 2012, prior to its acquisition by Hitachi. The original delivery schedule for all 136 metro cars was delayed and all of the trains are now expected to be with Metrorail by 2019. Dynamic testing will begin in the next few weeks, according to Hitachi. Following runs on a test track, the train will begin testing on the network at night and at the weekends. The next two trains are currently being tested at Medley and will join the first unit at the Lehman Center depot between June and July this year.